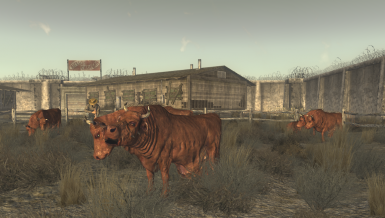 This mod adds a "healthy" brahmin-type to the game (which does not replace the ill-looking brahmin). ATTENTION: This mod is outdated and won't be updated anymore! 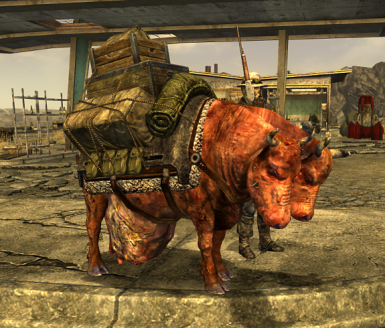 ==> Download the follow-up mod Brahmin Variant Redux! - Exchanged the 3d model of the pack-brahmin, to fix animation issue. 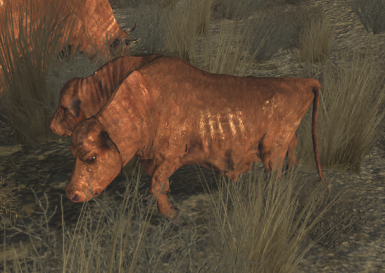 This mod adds a "healthy" brahmin-type to the game, which does not replace the ill-looking brahmin. The more healthy looking ones just appear in places where it would make sence (i. e. the Crimson Caravan camp or other places like that). Additionall, this mod changes the brahmin calf critters in the game. Instead of just beeing a smaller scalled model, it now looks at least a little bit unique (no horns on both heads, smaller udder and so on).